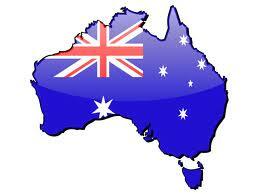 Welcome to Australia Forex brokers blog. I am Jerry living in Australia from last 10 years. I started Forex trading 2 years back as part timer but now days; it’s my full time passionate job. I had earned a lot of money from trading currencies online in this period and that’s a reason I took myself a boss of my own. Intention to start this blog is to give Aussies a chance to better understand Forex market in Australia as well as pointing all information regarding choosing a good broker to trade. Australian Forex market is comparatively small as per its overall size to other international markets but local market has already grabbed the overseas market in term of investment done in this regard. As per my research and the stats gather from different sources, more than 70,000 individual investors or traders done online trading in 2011. Forex trading in Australia had incredibly grown last year and this trend gains around .30% of adult population which is relatively a bit higher penetration as compared to other international markets examined by Investment trends.In comparison, only 0.14 per cent of adults living in the United Kingdom traded in FX, while in Germany this percentage was even smaller at 0.03 per cent. This trend reflects strong Australian economy and most importantly, power full Australian currency combo with mild regulatory environment as compare to Asian markets. If you will go for overall Forex brokers in Australia, there is no such dominant player and each one of them have relative share in the market. There are a number of leading Australian Forex brokers that have taken their strides and established regulated offices in Australia. They offer excellent online trading services and some also allow investors the ability to trade multiple products in multiple markets using one trading platform and one trading account. As per my own experience, Forex broker should be regulated by any international regulatory authority. I am personally trading with the forex broker who is regulated by FSA UK so it is not something curios if the broker is not regulated by Australian Securities and Investments Commission (ASIC) About Me.